Pairing shades with drapes can really add drama and dimension to a room. 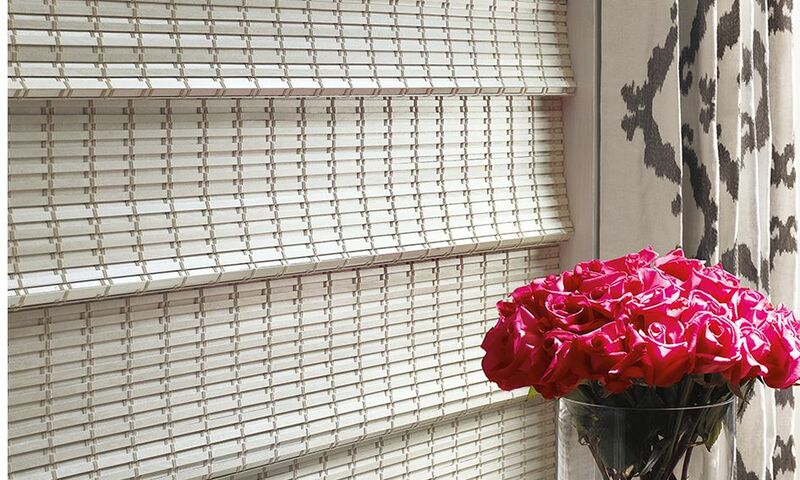 But knowing just how to combine these window treatments can be challenging. You may be wondering, is my window too small for drapes? Should I get shades, sheers or blinds? Which colors, patterns and textures go well together? 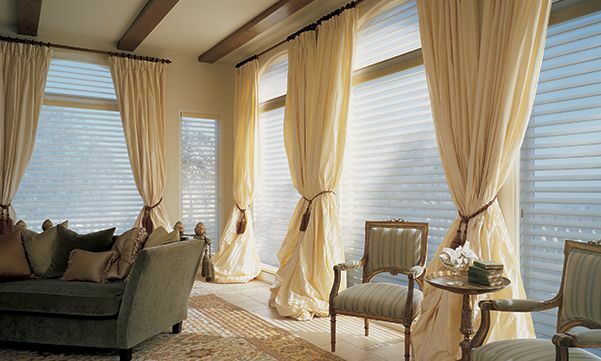 Always start with choosing the type of shade you want since drapes are easier to change out. If your room is small, you might want a shade with a cleaner look. If your room is larger, then a more colorful, dramatic shade could work better. Then consider the décor of your room. If your walls have semi-bright colors, you could choose a shade in a contrasting color that pops. If you have lots of patterns and prints in your room, think about a more simple style of shade. 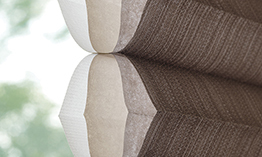 A cellular shade combined with a drape offers a crisp, contemporary look at the window. 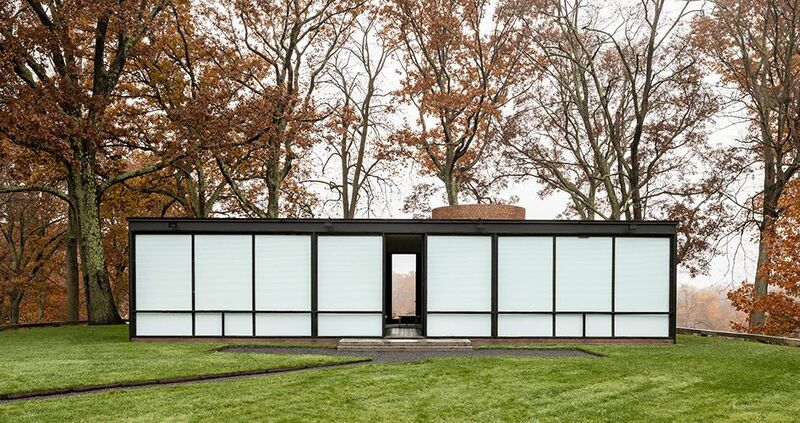 (Not to mention the added benefit of energy efficiency that cellular shades are known for.) 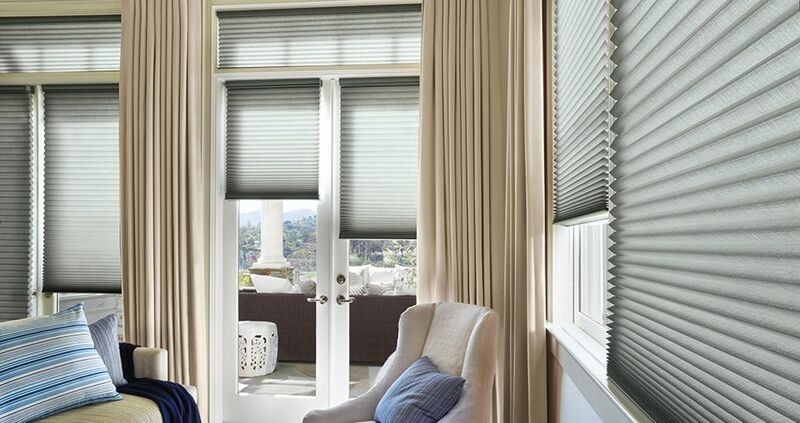 Duette® honeycomb shades, for instance, feature a wide range of pleat sizes, fabrics and colors. If you go with a light-colored shade, try complementing it with a dark drape. Or if your shade is solid, maybe choose a drape with a colorful pattern. With the Top-Down/Bottom-Up option on cellular shades, you can open your shades from the top down to let in natural light from above. 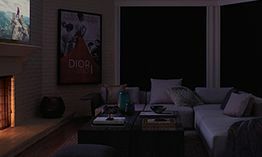 Sheer shades beautifully diffuse natural light to create a soft ambiance in a room, while blackout drapes provide the total privacy and darkness you want at night. For even more light control, Silhouette® window shadings can be paired with an independently operated room-darkening liner on the same headrail. The great thing about sheer shades is that they come in a variety of luxurious fabrics that contrast nicely with a heavier, dramatic drapery. Roman shades are available in numerous styles. The timeless fabrics of Vignette® Modern Roman Shades, for example, are available in a range of styles and fold sizes that add depth and interest when combined with drapes. And if you happen to have any light gaps around your shade, a drape can help you achieve complete darkness while creating a sophisticated, layered look. A trick if you have small windows—mount the shades and drapes together a few inches above the window frame, and just a few inches below the ceiling. The stack of the Roman shades will neatly cover the space between the headrail and the window. 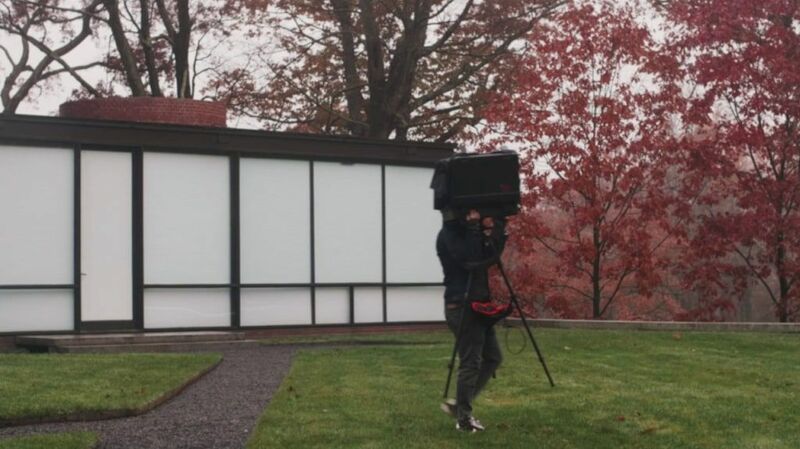 Extend the drapes below the bottom frame to make the window look even larger. Made from natural woods, bamboo and grasses, woven wood shades like Provenance® Woven Wood Shades feature an organic textured look while diffusing light into the room. Adding a drape with a bold color and design can really complement the natural elements of your shade as well as offer you full privacy when you want it. 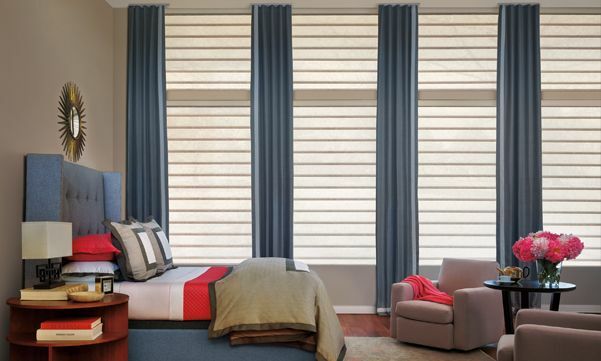 If you have wood blinds or shutters, a neutral drape can also soften the look of the wood and accent the rich hardwood slats. Whatever style of shades and drapes you choose, pairing them together can enhance any décor, from contemporary to country to traditional. When pairing shades with drapes, always start with the type of shade, since drapes are so much easier to change. 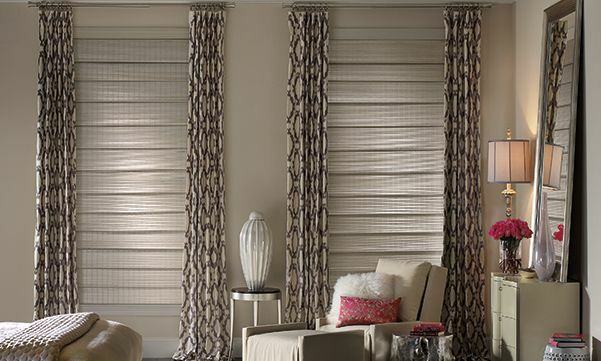 From blinds and woven woods to cellular shades, you’ll find a variety of options that will work great with drapes. 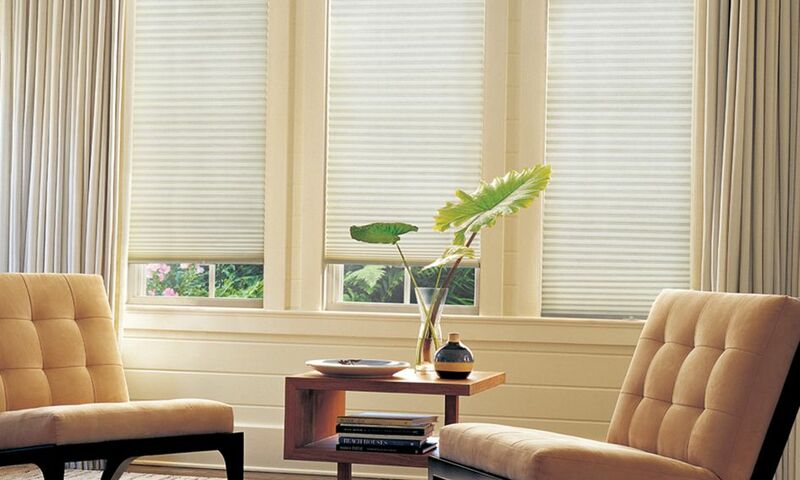 Cellular shades, like Duette honeycomb shades, offer a crisp, clean feel when paired with drapes. Plus, you have the added bonus of energy efficiency that cellular shades provide. Choose from a large selection of pleat sizes, fabrics, colors and textures to create the perfect look. A beautiful complement to drapes, Silhouette window shadings are designed with the Signature S-Vane™ that magically floats between two sheers. 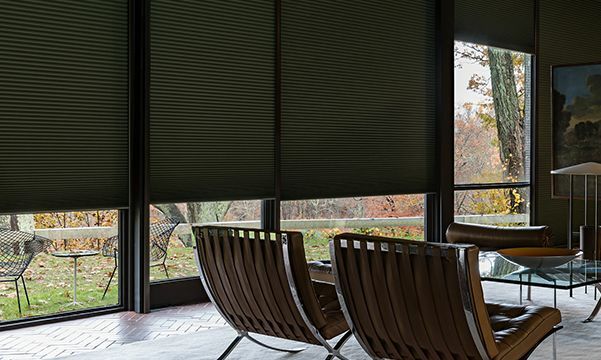 Silhouette shadings softly diffuse natural light during the day, while full, operable drapes help you create complete darkness when you need it. 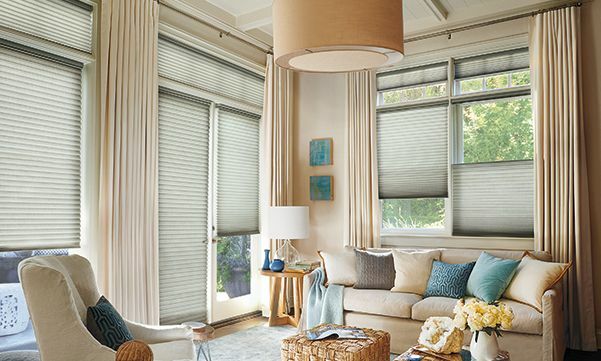 Offered in sheer, light-filtering and room-darkening fabrics, and a Rolling or Stacking style, Vignette Modern Roman Shades, when combined with drapes, can add an interesting depth and interest to your windows. Crafted from natural materials like bamboo, grasses and woods, Provenance Woven Wood Shades beautifully bring the outdoors in. (Not to mention, they’re an eco-friendly choice!) And if you choose a drape with a bold color and style, you’ll accent the organic look of your shades. To learn more about the Duette LightLock System and its compatibility, please visit: www.hunterdouglas.com/duette. 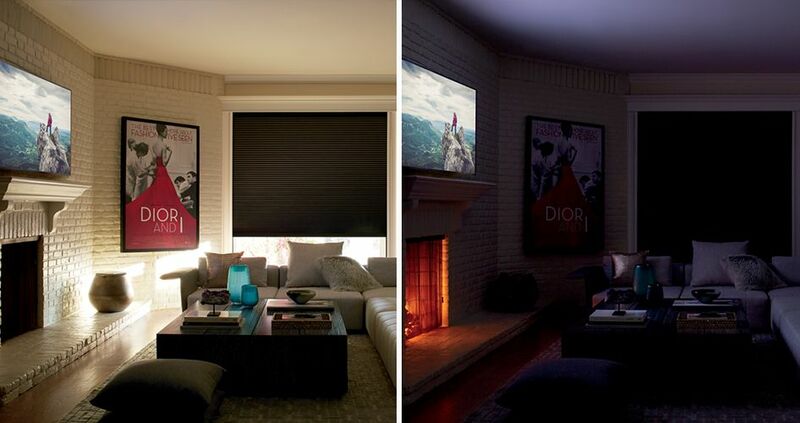 Intelligent shutters you can adjust with your voice…how smart! (April 17, 2018)—Hunter Douglas has combined iconic Palm Beach™ Polysatin™ Shutters with the innovative PowerView Motorization to elevate shutter operation to a whole new level of convenience. With PowerView Motorization, you can tilt the louvers of your Palm Beach Polysatin Shutters with a simple voice command. Plus, you can now use the PowerView app to schedule adjustments throughout the day for your different lighting and privacy needs. 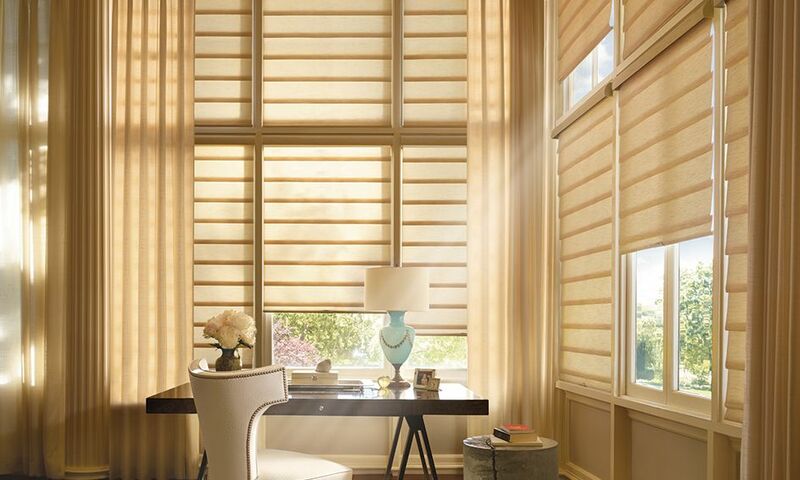 The introduction of PowerView Motorization to Hunter Douglas’ Palm Beach Polysatin Shutters will benefit any home, increasing its energy efficiency and enhancing its security. * Perfect lighting, energy efficiency and everyday convenience are all delivered seamlessly with this new product offering from Hunter Douglas. With the addition of PowerView Motorization, Palm Beach Polysatin Shutters are ideal for hard-to-reach windows, offering the convenience of avoiding repetitive manual adjustment. Programmed operation can be used to adjust louvers according to the sun’s daily patterns, which can reduce solar heat gain in the summer and heat loss in the winter, helping to keep your home more energy efficient and comfortable year-round. Palm Beach Polysatin Shutters are plantation shutters that are specifically designed to take the heat. 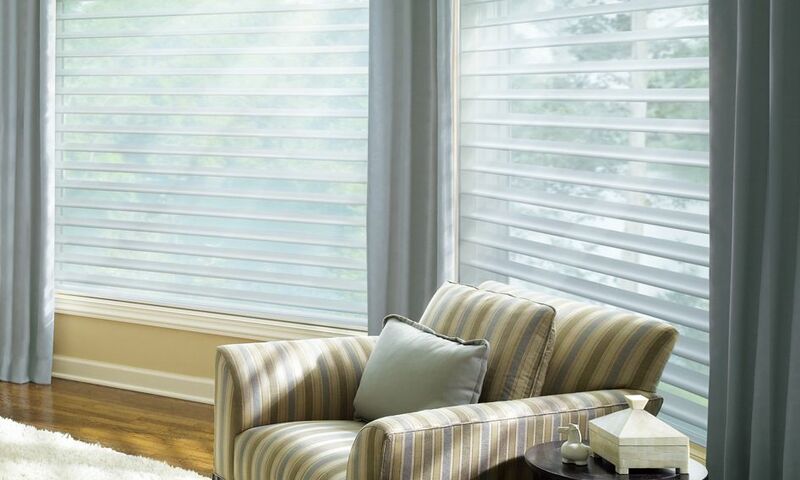 They have the look of a finely-painted shutter with the toughness of UV-resistant Polysatin compound. They are guaranteed to never warp, crack, fade, chip, peel or discolor. Designed with style in mind, the battery pack is hidden in the top or bottom rails of the shutters and will never detract from the beauty of your shutters. All motorized panel sections can be grouped together, so they can operate in perfect unison, creating a highly stylized and beautiful effect in the home.